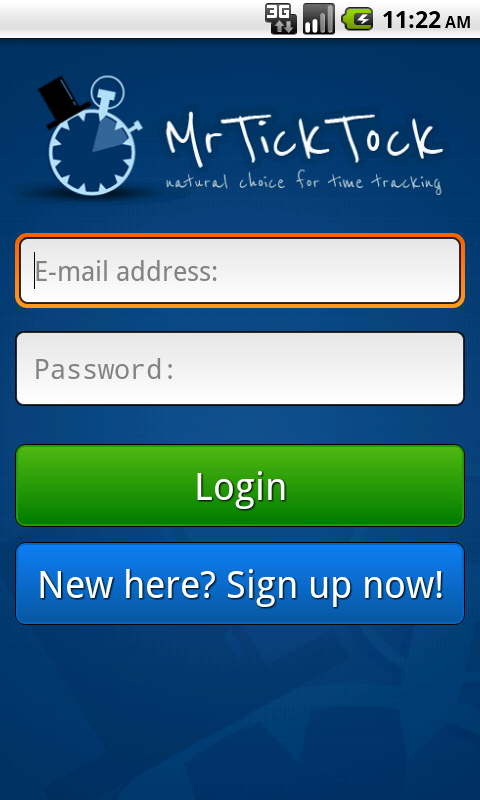 MrTickTock has a nice Android app which allows to track time manually or automatically right from the Android device. The app is available to download from https://play.google.com/store/apps/details?id=com.mrticktock. Let me show you how to use it in a few simple steps. Once you have downloaded and started the app you should be greeted with login/sign up screen as presented on the first screenshot. Simply press the blue New here. Sign up button. On the next screen you need to fill in the simple registration form. Provide your account/company name, email address, new password to your account and press green Register button. Application will create your online account and move you to the next screen. The third screen will ask you for your first task name. Type it and press Create task button. 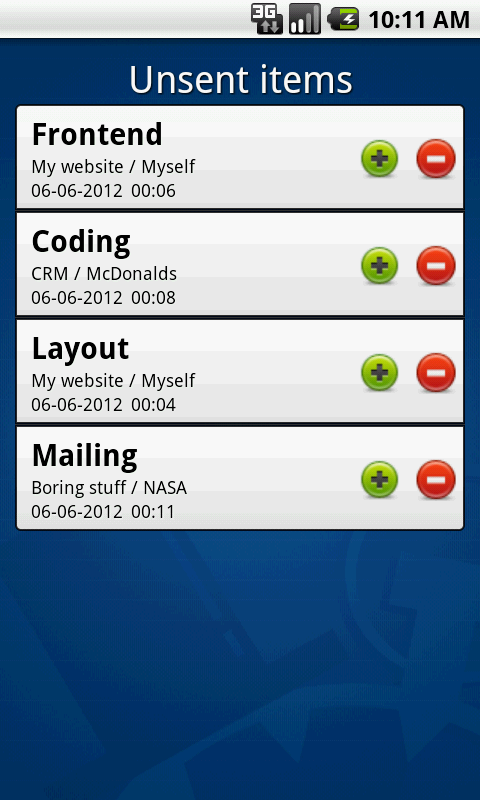 Application will create your first task, synchronize online and move you to the main screen. Main screen is presented on the last screenshot. 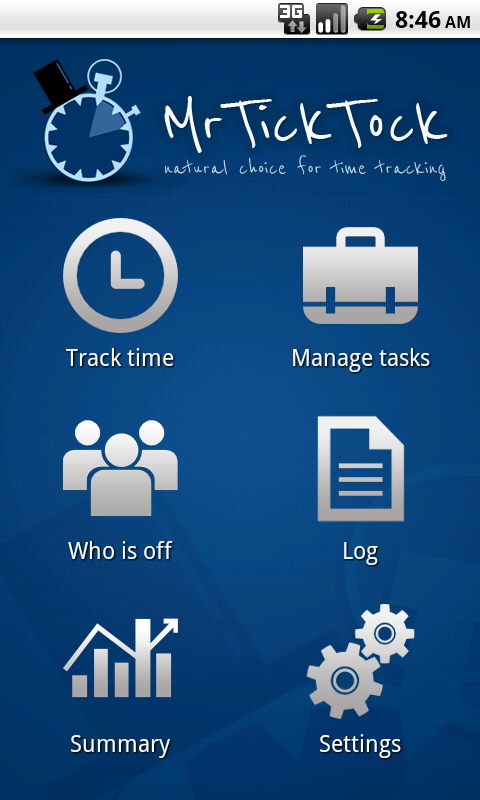 Now you are ready to track your time and manage tasks. On the main screen (dashboard) click the Track time icon and you will be moved to the separate tracking screen. Your first task is already selected and you can press green Start button as presented on the second screenshot. It starts tracking time for selected task. When you press Stop button the timer will be stopped and time report will be synchronized with online account. If no internet access is available then time report will be saved to the log (third screenshot). You can send online or delete particular report entry from the log any time you want. 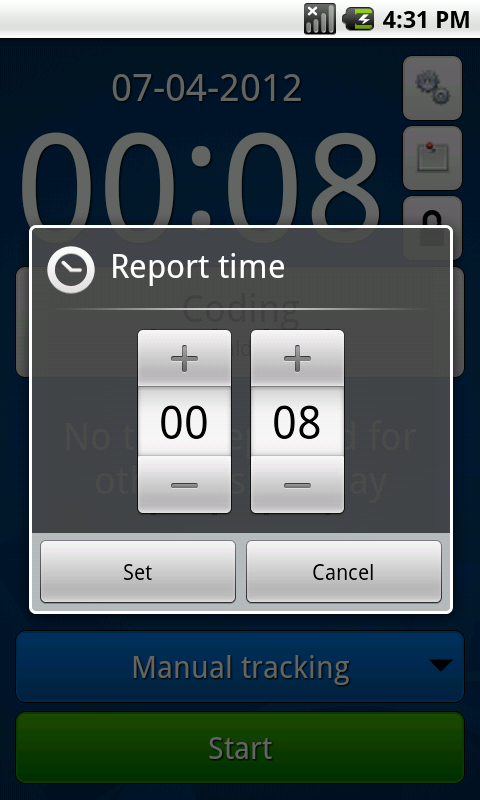 Instead of tracking time with Start/Stop button you can also directly report specified amount of time. Just press counter in the top part of the Track time screen (first screenshot) or select Report time menu option and provide time in the popup window as presented on the second screenshot. MrTickTock for Android contains unique automatic tracking feature. It allows to track time totally automatically. It is able to discover when user enters and leaves the office area and start/stop tracking accordingly. The automatic tracking features uses WiFi accessibility so you need to define your office WiFi. Simply go back to the application dashboard (first screenshot) and next go to the Settings (second screenshot). Now you need to add your office WiFi to the list so MrTickTock can track your time automatically when you are in the range of selected WiFi network and stop tracking when you leave the range. Once you have selected office WiFi, go back to the Track time view (third screenshot) and set blue combo to Automatic tracking. If you are in the selected WiFi range then time tracking should start automatically. If not in the range you will see appropriate message below the combo. a) You don't need password to the office WiFi. MrTickTock only tracks if your phone is in the range and does not try to connect to any of the selected WiFi networks. b) When you leave the office area, automatic tracking stops timer and tries to synchronize it with online account. In case of no internet access, timer value is saved to the log so you can send report online later. MrTickTock gives you flexible task management capability. On the main Dashboard click Manage tasks icon and you will be moved to the task list view. You can select task for tracking simply clicking the task on the list. Selected task is marked with green bullet (second screenshot). 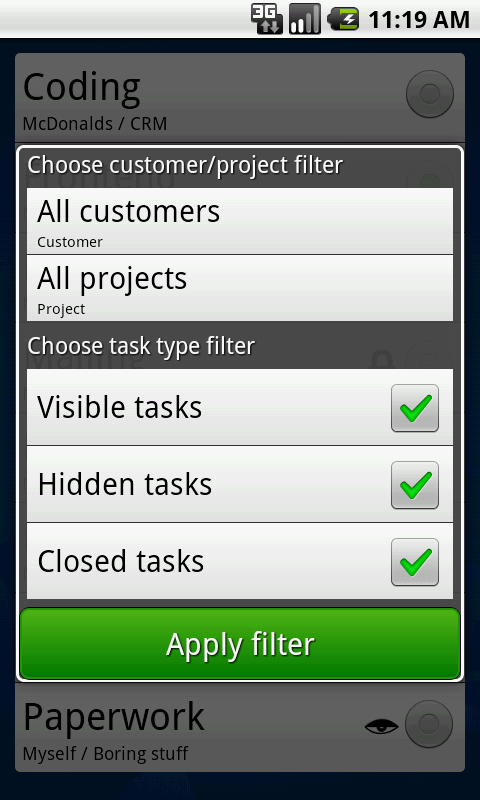 Filter tasks allows to filter task list by Customer, Project and task status (visible, hidden, closed) as shown on the third screenshot. 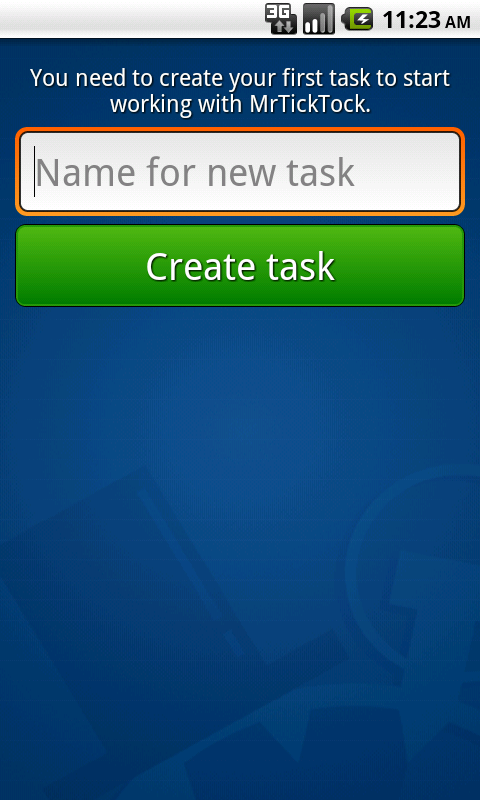 Create task menu option allows to create new task for selected customer and project (fourth screenshot). Bulk operations menu option allows to hide/unhide/close/reopen/delete tasks in bulk. 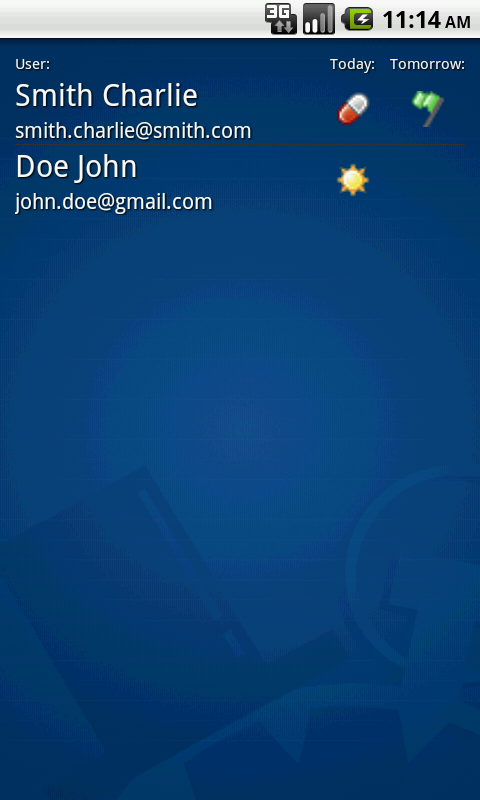 Available task actions (hide/unhide/close/reopen/delete) can be performed on a particular task as well. Just tap and hold task on the list to show context menu. 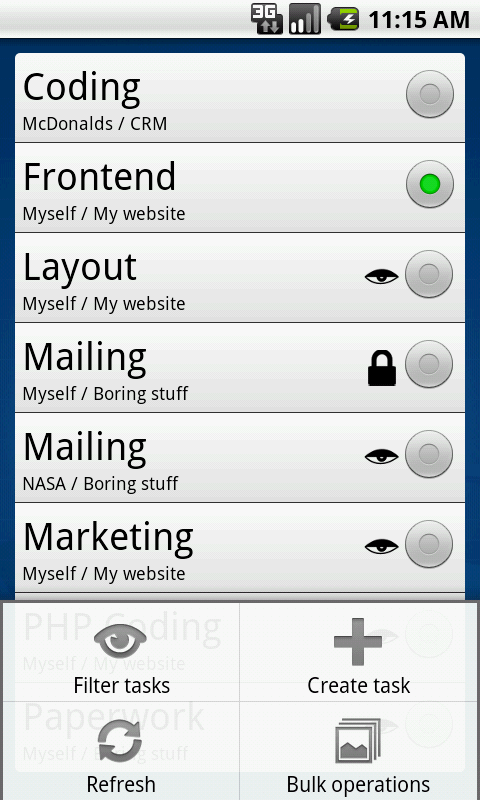 MrTickTock for Android gives you two more screens. Summary view visible on the second screenshot shows list of the tasks with time reported today as well as brief overview of total time worked today, yesterday, current week and month. Who is off view (third screenshot) shows list of people who marked day as off (sick, vacation, non-working) for today or tomorrow - another nice feature for multi-user environment. If you need something more than offered in the app, like comprehensive time reports, customers and projects management, inviting coworkers, changing account settings, resetting your password, etc. you can visit the online account. It is available at http://mrticktock.com/app. In order to log into the account you must provide your credentials used in the registration step (email and password). MrTickTock 1.8 has been released and published at http://mrticktock.com. Please welcome new Tick-Tock day view (in addition to the weekly time sheet), time ranges and few other improvements. Beside of the existing weekly time sheet our users can now enjoy Day view available in the Tick-Tock tab. It provides not only time reporting facility but also contains additional information like Users on the clock and Time ranges and has much more exposed Start/Stop Work feature. Those of you who don't care about other days of the week will surely love it. 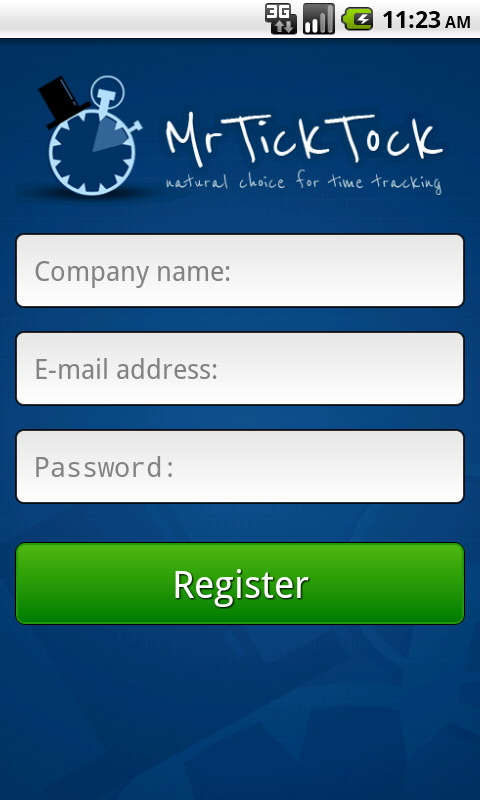 Do you want to know who else has started timer and is tracking time in the company? Nothing simpler, just look at the Users on the clock box in the Day view (Tick-Tock tab). Collapse the box if you are not interested. Few of you asked for that feature. It appeared that you want to store not only a total time worked on a task but also In and Out times to justify overtime and for other reasons. Here it is. Time ranges are visible on the Tick-Tock day view in task details. They can be also included in the report grouped by Date and Task so you can share it with your boss or customers. Over midnight time tracking is fully supported! We have switched to html view for all notification emails. They look much more pretty and are more legible. There is still alternative plain text view available for non-html friendly email readers. That's actually a feature for newcomers. In order to create a new account it is enough to provide just an email and password. All the rest (first and last name, and account name) is auto-generated. There is of course possibility to manually change all the fields. Sign up takes now no more than 20 seconds! We have added simple introduction wizard which helps to make few first steps within the application. It pops up hints on how to enter time, set day off, perform task actions or switch Tick-Tock view between day and weekly time sheet. We have identified and fixed few performance issues, mostly in the Projects & Customers tab - it works faster and is much more responsive now. Our customer reported that in some countries like Iran, Afghanistan, Tajikistan people use local calendars in which week begins on Saturday (calendars like Hijri-Shamsi and Hijri-Ghamari). Therefore we have added support for Saturday as the week beginning. It allows to display time sheet starting from Saturday as well as correctly count weekly workload. Enjoy! As usually there are many other simple improvements and bug fixes which make MrTickTock more usable and friendly. Monthly calendar preview with users' time off. That's a great solution for managers who want to plan work ahead and need a quick time off preview for the coming month(s). 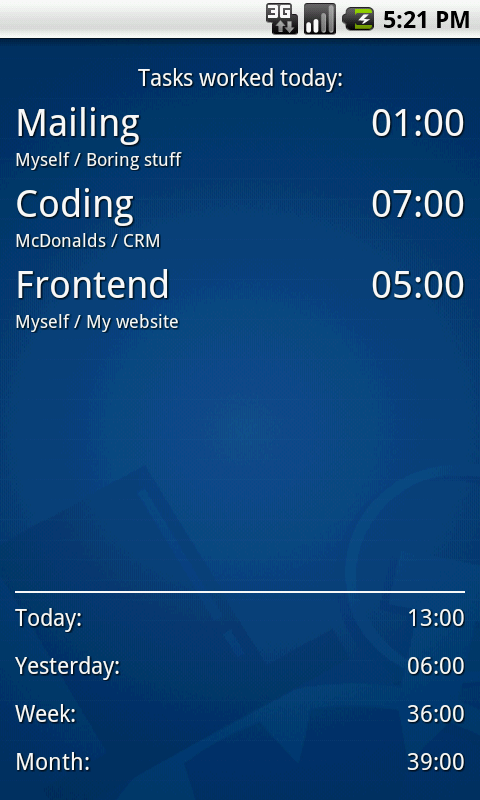 User card view with brief information about time worked, time off, active tasks, etc. New time off reports with information on users time off for the past week, month, year or a custom period. All of the above will make it easy to track paid time off in MrTickTock 1.9. In the next versions we want to also add billable hours, invoices and integration with other project and task management software like JIRA and Google tasks. That's all for folks. You can try all of that at mrticktock.com.